i love these eye gels. great to take with you when traveling to help depuff, cancel out dark circles, and soothe the under eye area. 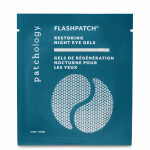 these eye gels are awesome! 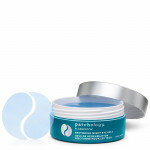 perfect after a long night out to help soothe and revitalize the under eye area. very effective at targeting lines and uneven texture due to the retinol in the product. must have! These feel so good after a night out on the town. I apply before bed then rub the excess serum in. My eyes look well rested when I wake up. I love these so much! So comfortable and soothing. I wake up with a hydrated under eye and no puffiness. 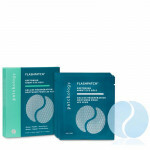 This depuffs and hydrates my undereyes so well! I use it in the morning when I haven't gotten enough sleep and my concealer glides on when I removed the mask. At night, I like to wear this under a sheet mask to give my undereyes an extra boost of hydration. I was a huge fan of the regular patchology flashpatches so I was really excited to try the nighttime version and am very happy that I did! I actually prefer the night patches because they are a little firmer in texture making them easier to apply and I also wake up with noticeably less under eye puff. They have also been helping with my fine lines under the eye when I use them consistently. I usually try to leave them on for at least 20 minutes but it's nice that they can easily make a difference in just 5 minutes when I'm on a time crunch! Sometimes after I am done using them under my eyes I will flip them and use around the mouth to target laugh lines. I absolutely love these things!